This program has 2 main themes. 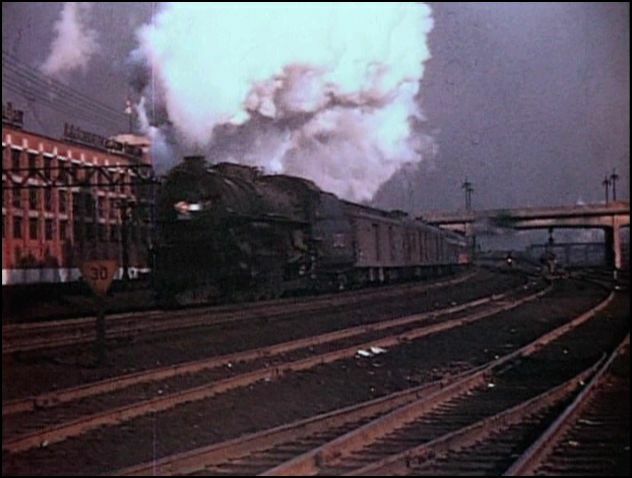 Steam and early diesels, in the 1950’s, as filmed by noted photographer Jerry Carson. A modern Illinois Central , videographer is Steve Neff. How does this combination work? 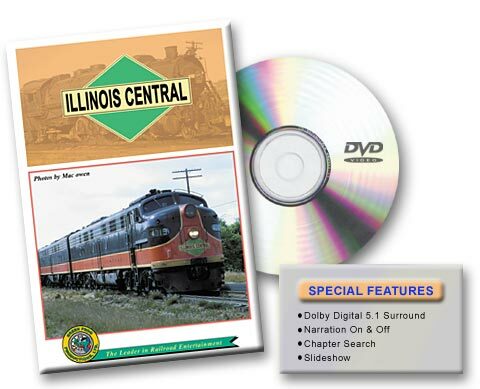 Nearly 40 years of Illinois Central history , is contained within this 2 disc set. There is an 8 minute slideshow included. Narration has on or off feature. Homewood , construction began in 1919, to Markham yard completion in 1926, it is the largest yard on the IC. It sure looks different with steam engines. The film is.. in color! Some of roundhouse area is shown. Berkshire 8000 series 2-8-4 , Mikado 2-8-2, Mountain 4-8-2, all pulling freight trains. The images are crisp and the sound is matched up fine. It sounds great. Fast paced action and the narration is informative. Big 2-10-2 freights lead to Freeport and the yard. More ICRR steam shown at: Olympia Fields and Winery Road. Mountain types are all over. 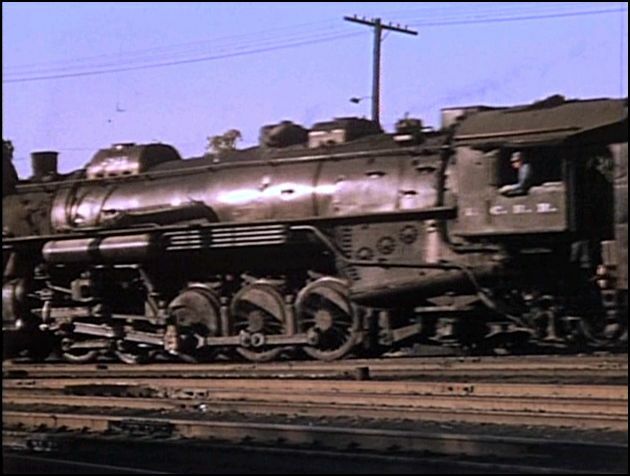 Big Four passenger trains pull various cars: NYC, C&O, also; green heavyweights, mixed with stainless. Many trains. Some high priority Mikado led meat trains. 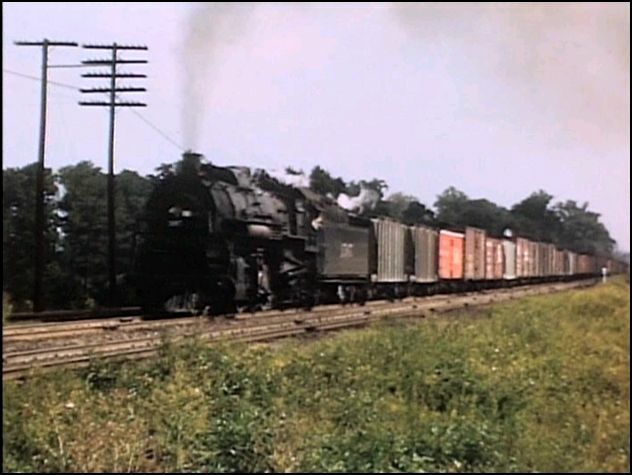 Check those steam era freight cars too! This all color segment is very enjoyable. A little black & white footage follows. Surprisingly, more color and close-up, trackside film at Kankakee.The trainwatching continues, at numerous places. Passenger train waits on meat trains. A banana train.. This is tightly edited, and nonstop action. Watching this 45 minutes is simply…fun! 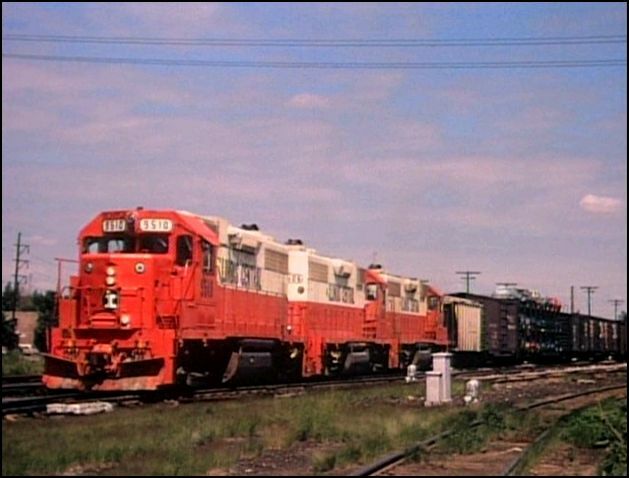 Vintage diesels are next on the show. The final run of the City of Miami, before Amtrak. Black GP9 plus Orange and White GP9, GP 18 units. Some torpedo tanks, equipped for dual service. New 6 axle SD40 ,U33, GP10 Paducah rebuilds. E unit passengers in early Amtrak service. GP40 types in both schemes. 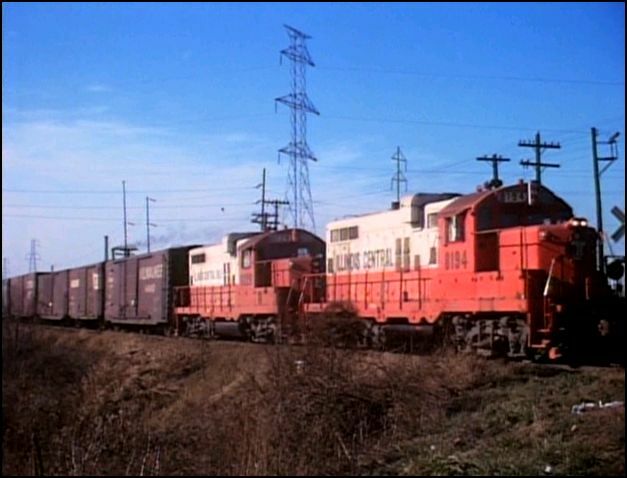 A fine look at classic Illinois Central diesels. 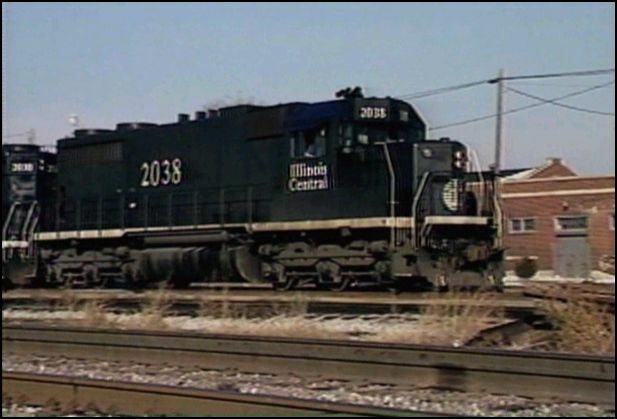 The second half is a contemporary Illinois Central. A leaner, meaner IC complete with a new logo is on this dvd. Steve Neff is a talented videograpgher. 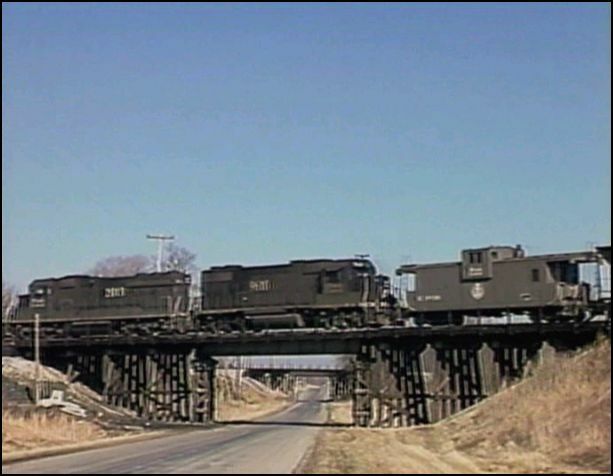 Like many modern videos, some other roads are included: BN, Amtrak, Conrail, UP, Santa Fe, BAR. Some weathered ex: ICG painted locos are present. The trains themselves have changed from the earlier years. 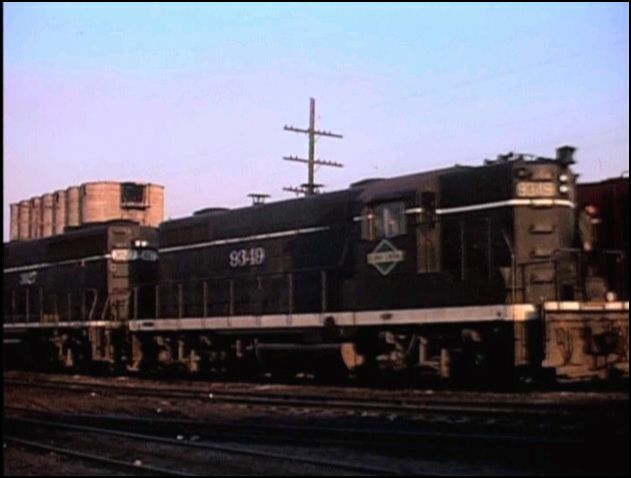 Unit trains; coal, grain, tofc and there are still general merchandise. The smalltown branchlines, are gone from the new IC. 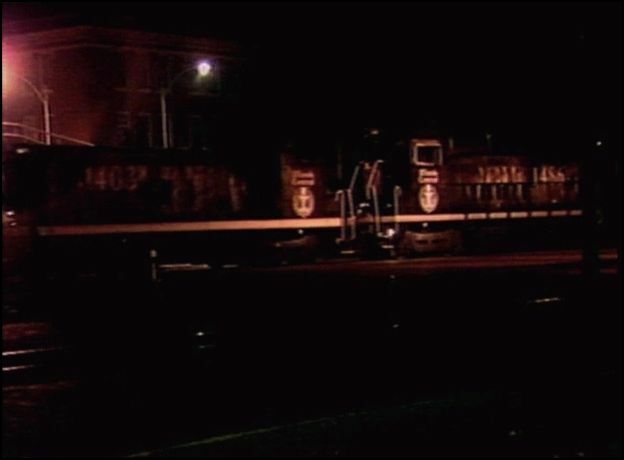 Highlights: Tuscola visits, the night shots at Centralia and Carbondale, a pacing shot, Effingham has many trains. It’s the modern era IC for sure. The final section has the Chicago, Central & Pacific, formed after the ICG garage sale. 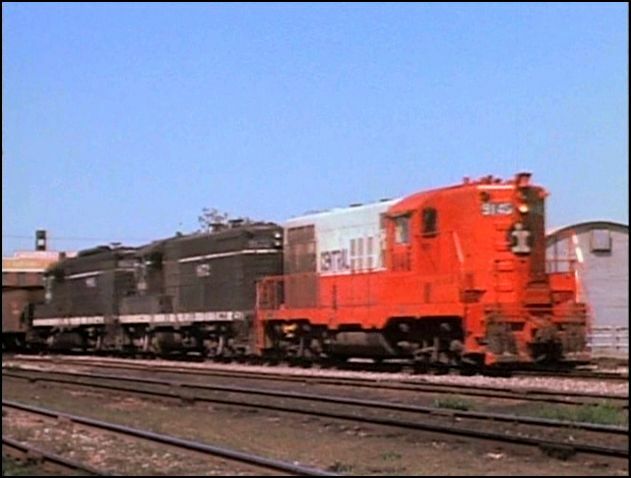 Interesting older locomotives in: former IC green diamond, IC, ICG orange, Milw., and red Chicago Central. This half is a good look at the new Illinois Central. Sound is crisp, narration fits, and the video is very good to excellent. There is a repetitive feel , sameness of standardization. A good show, just not in the same class as the ICRR of yesteryear. Green Frog has taken us for a 40 year tour of Illinois Central. Digitally remastered images and sounds on the entire set. Very high standard of production. All things considered … part one alone, is worth the price of admission. 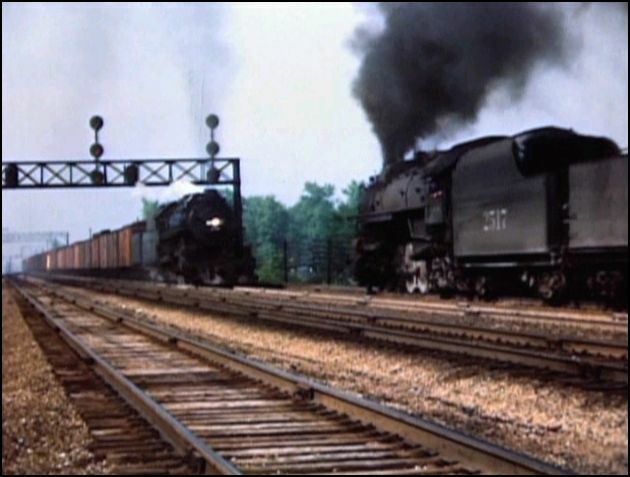 This entry was posted in Green Frog Prod., Steam Train Reviews and tagged American Train Video Reviews, Chicago railroad, Railroad, Steam, steam train, Train DVD, train video reviews, transportation by William J. Hudson. Bookmark the permalink. 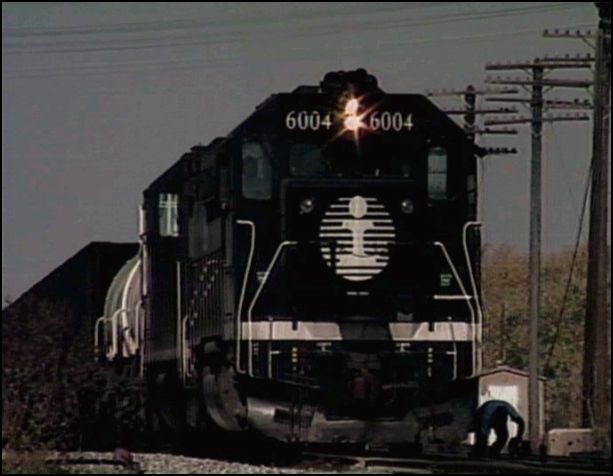 It should be noted that the “modern” Illinois Central footage was shot in the early years of the newly spun off I.C., predating the 1990 single tracking program. 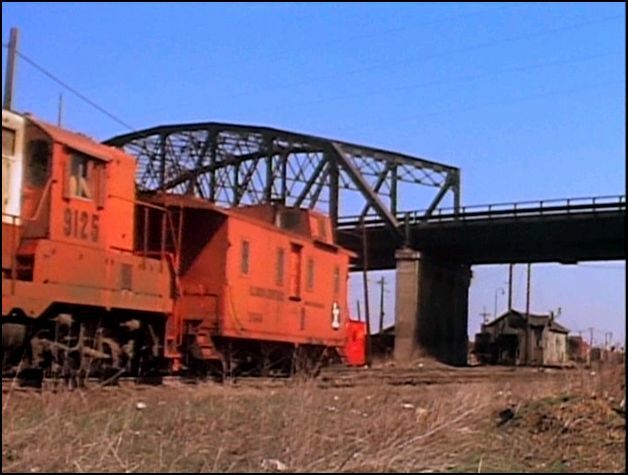 This is the railroad I grew up along in high school, and I was a senior when I first saw this on tape. An excellent show I’ve been enjoying for about a quarter century.